Qbrick Cart System is a modular solution for excellent mobility of Qbrick systems. 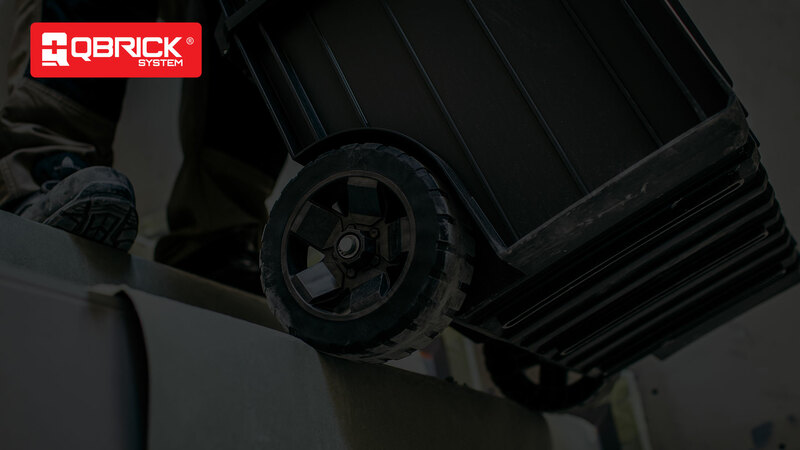 Two big durable rubber-coated wheels, mounted on metal axle allow for safe transport even complex loads. Telescopic handle, which tilts along with the opening of the tool box, provides convenient access to the inside of the tool chest. Modular solution for excellent mobility. Two front big durable rubber-coated wheels, mounted on metal axle, allowing you to push through obstacles such as stairs, ramps or mud. Metal swivel wheels with brake, ensure excellent maneuverability and protects the entire set before the unwanted motion. 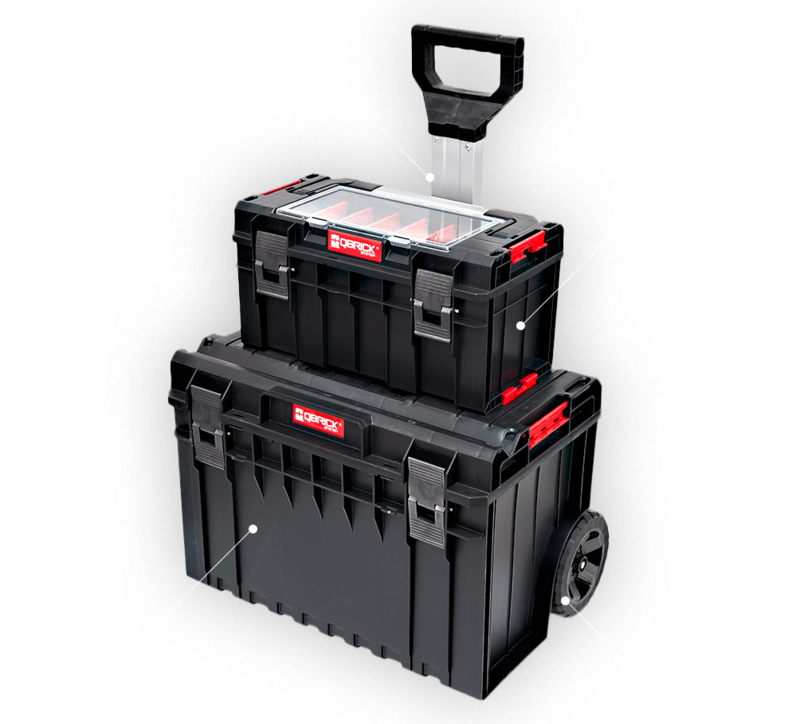 Mobile toolbox allows you to carry long tools like hammers, angle grinders or mixers to cement together with the necessary accessories. Above-standard dimensions make it a unique product in its category. Qbrick System is the answer to the needs of professionals who value innovation and understand multi-tasking. We'll show you how to get the most out of all the elements of the system. 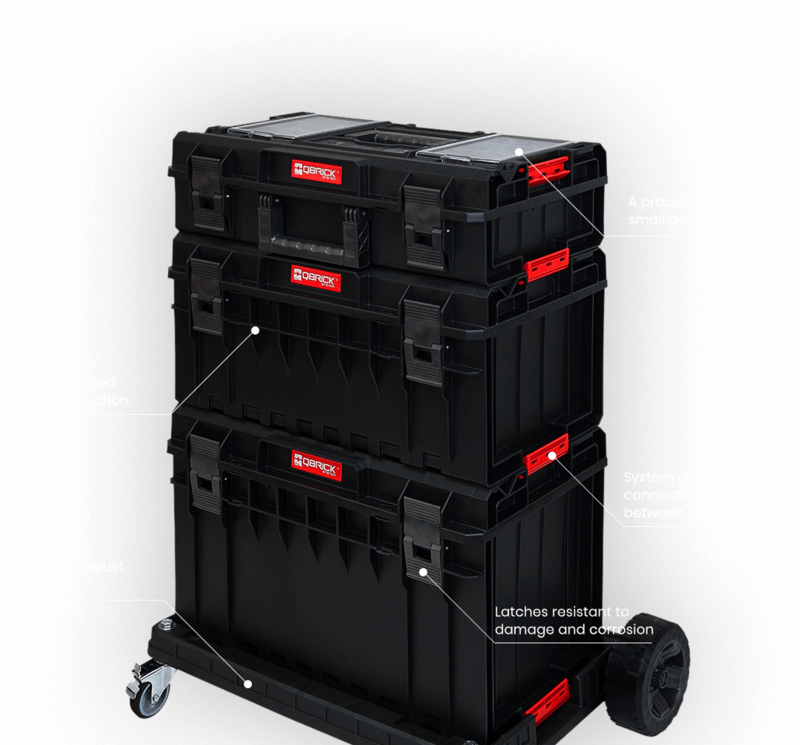 We will check how Qbrick System operates in extreme conditions and not only. A complete, mobile workshop in a compact size. Convenient organizer keeps in perfect order all small tools and accessories. 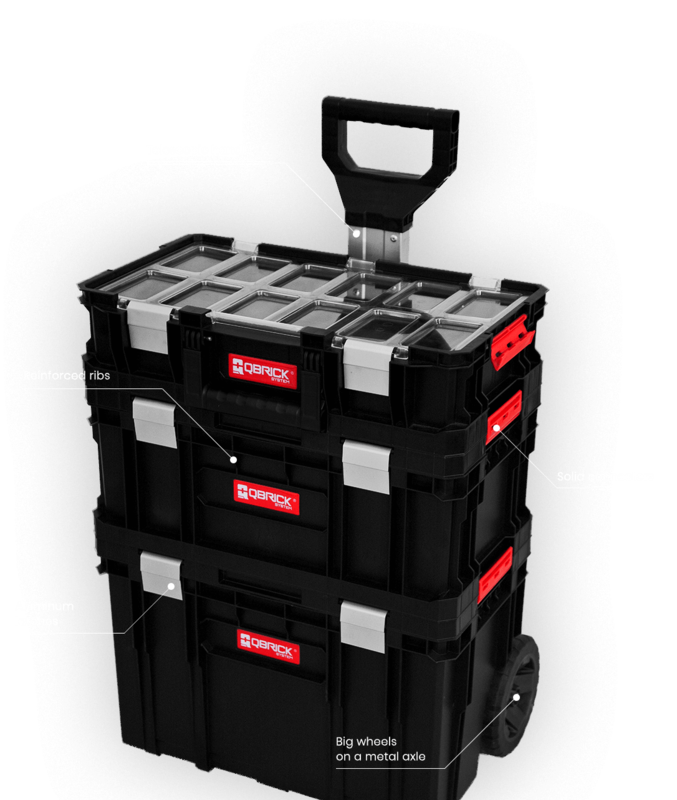 Middle module, which is capacious tool box in turn is a great idea for storage of a medium-sized tools. 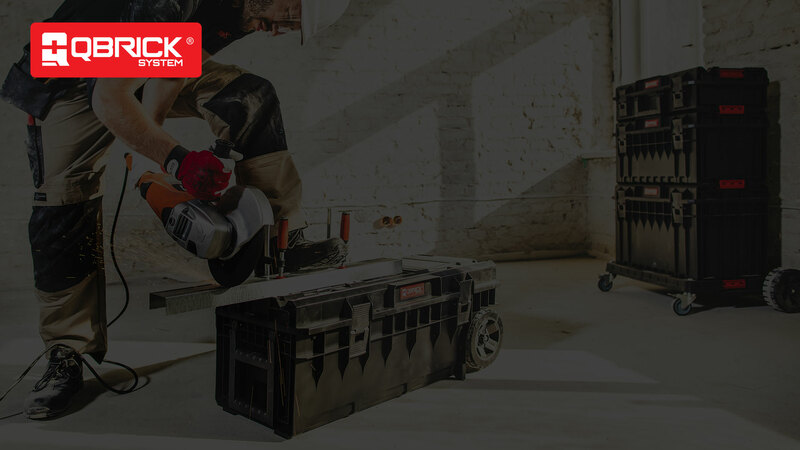 Tool box on wheels-Cart is a mobile base and the place where you'll fit larger power tools. Modular solution with excellent maneuverability.  Mobile Storage System QS TWO is a combination of Platform and roomy Tool Boxes (in two sizes). This is a versatile solution which works both in the workshop, warehouse, but also at the back of your home. 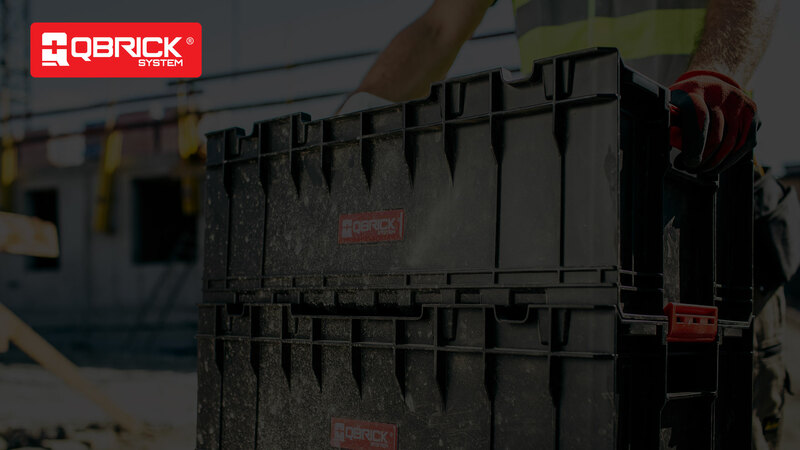 Qbrick System PRO is a new generation of compact toolboxes with fresh approach to ergonomics of manual labour. The most unique feature in the whole class of such toolboxes is the ability to piece together two toolboxes and then move them around using only one hand. Elastic seals prevent your tools from dirt and water. 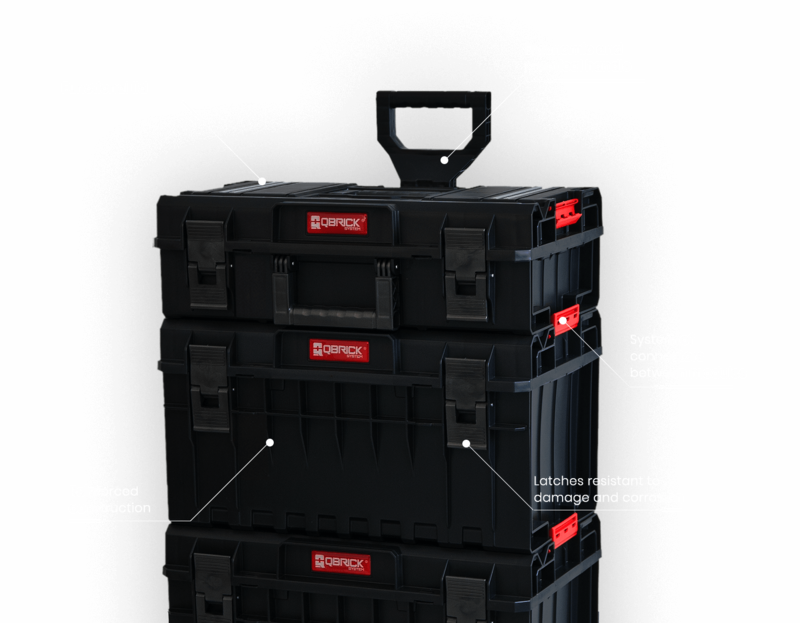 And large, multicomparment organizers in covers can fit both long drills and levels. Additionally, all elements that are particularly exposed to excessive forces are made from extrastrong materials (such as Polycarbonate and Polyamid).  Cart PRO Set is a creative combination of mobile tool cart - perfect for transportation of large power tools with compact PRO 500 toolbox - perfect for regular manual tools.  Both toolboxes have elastic seals that perfectly safeguard your tools from harm by water or dust particles.